Adrian Flux Home is one of the leading specialist home insurance brokers in the UK and one of only a few offering a full range of bed and breakfast business insurance cover to Bed & Breakfast & Guest House properties. Our B&B Home & Contents cover will make sure that your home is adequately covered in the event of a mishap. Whether you own a B&B or guest house, or are just opening up a spare room to rent to guests, running a B&B can be both a rewarding business and a great way of making money. But with the added risks that housing guests can bring, it's important to make sure you've got all the insurance cover you need in case anything happens. Adrian Flux is one of the leading specialist home insurance brokers in the UK and one of only a few offering a full range of bed and breakfast business insurance cover to bed and breakfast and guest house properties. Our specialist insurance policies can help to cover you against any damage caused by your guests, and any emergencies in your home and business, all without the expensive premiums you'd expect. We also provide both buildings and contents insurance for people thinking of renting their home or spare room out on AirBnB, whether on a long or short-term basis. 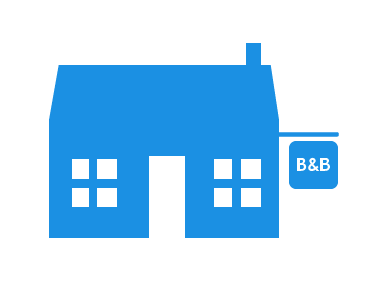 To find out more about our B&B insurance air AirBnB home insurance, call Adrian Flux today on 0800 369 8590. For most B&Bs and for people renting out their homes, standard home insurance won't cover you against all of the risks that you face - and getting the right insurance can save you a lot of money if anything does go wrong. B&B home and contents cover from Adrian Flux will make sure that your home is adequately covered in the event of accidents and emergencies, and any damage caused by guests. Full cover for bed and breakfast and guest house businesses. 24-hour claims hotline with counselling support. Insurance for short term rents and AirBnB rental. Because B&Bs are, by their nature, a non-standard insurance risk, all of our policies are designed especially for your individual situation and our staff will work with you to understand your needs to make sure you get the exact cover you need. Every guest house insurance quote will receive the attentions of a specialist, and each risk will be individually calculated by our expert staff. Find out more about our AirBnB rental and bed and breakfast business insurance by calling us today on 0800 369 8590, or click the callback button to arrange a good time for us to get in touch. Quicker & Cheaper rates by phone, please click the button below during office hours (9am to 7pm Monday to Friday & 9am to 4pm Saturday) and we will call you back right now, or at a time you specify, for an immediate Bed and Breakfast insurance quote.